There are games, play or battles that you have to fight, focus and be determine in order to win, but with the offer of Talk 'N Text, you are always the winner. Talk 'N Text Piso Panalo promo is around for almost a month and many are benefiting from it. 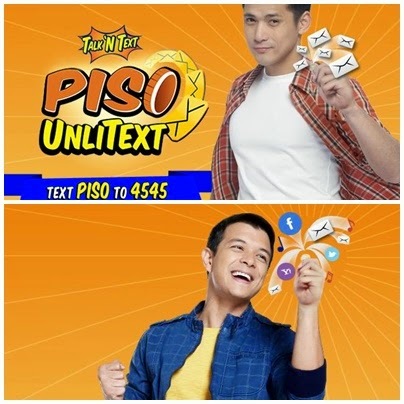 To further give an awareness to Text 'N Text biggest surprise, our country's two of the most admired actors namely Robin Padila and Jericho Rosales, started to have a TV commercial and mall shows to continuously offer Talk 'N Text Piso Panalo winning vibe nationwide. All you have to do is to have a PISO, register and access the unlimited text to all your Talk 'N Text friends, love ones and co-subscribers. Not only that, you can also text to Sun Cellular and Smart subscribers, Isn't great? 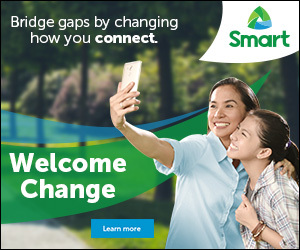 Wait..wait..wait.. you just only have, to have a PISO to also enjoy internet surfing using your mobile phone or broadband. I'm sure you will all love it, because nowadays from communication, shopping and planning you all need an internet access. PISO unlitext promo: Just text PISOUNLI to 4545, it will cost you PISO only good for 30 minutes. Unlimited texting to Sun, Smart and Talk 'N Text subscribers. PISO internet: Just text PISONET to 5555, it will only cost you PISO for 10 minutes internet surfing. Truly a Talk 'N Text PISO PANALO right? Just don't forget to maintain a PISO balance and your good to go. 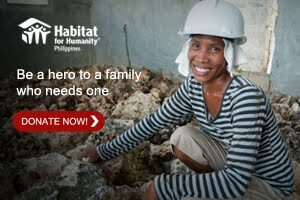 You can also text PISO to 4545 for more details about the promo.